Monica Brown is an actress. Monica Brown's filmography includes Almost Christmas, from 2016. On Spotify, Monica Brown has a slightly small audience with only a popularity score of 4 out of 100 and about 50 followers as of 2018. Her most popular track on Spotify is "Be The Glow" from the album Be The Glow. Monica Brown's Instagram account (@monicabrown) is very popular with about 7.3 million followers. Her recent posts to Instagram have gotten around 109,000 likes each. There is only one movie featuring Monica Brown as of 2018. 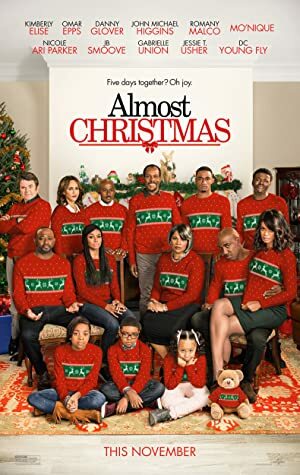 Almost Christmas is the only recent movie featuring Monica Brown. Monica Brown appeared as Waitress in Almost Christmas, released in 2016. As of 2018, Monica Brown has 50 followers and a popularity score of 4 on Spotify. Be The Glow - Single, #1 Club Hits 2011 - Best Of Dance & Techno, and Growth Songs, Vol. 1 are some of the more popular Monica Brown albums. Notable tracks from these albums include Be The Glow, Take Your Time - Social Network Remix, and Self Sabotage. Be The Glow has a popularity score of 13 out of 100, making it the most popular track from Monica Brown. Take Your Time - Social Network Remix and Self Sabotage have popularity scores of 0 and 0, respectively. The Spotify popularity score is on a scale from 0 to 100 and reflects the number of times the song has been played and how recently it has been played.